OFFERING REAL ESTATE REPRESENTATION WITH SKILLED TECHNICAL EXPERTISE! A licensed Real Estate Broker and University of Kentucky graduate with a civil engineering degree and a registered Professional Engineering license, Felicia Rudolph utilizes the tools of her education and experience to insure her clients the utmost in professional representation. 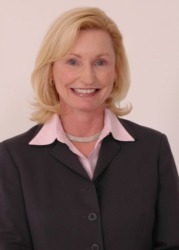 Felicia demonstrates expertise in buyer/seller negotiations in a confidential and results-oriented style. Felicia has successfully represented her clients for 11+ years. Honest, aggressive, and knowledgeable, Felicia will successfully serve all of your real estate and relocation needs.